Rehearsing in a high-quality space is a luxury that not all of us can afford... or so we've been led to believe. People make a fortune off renting rehearsal spaces, but it doesn't cost as much as they'd like you to believe for you to create your own quality space. Check out these six inexpensive ways to upgrade your rehearsal space. The first thing you should be thinking about is soundproofing. It only takes one phone call from a neighbor to set into motion the chain of events that can put an end to your whole operation, so it's up to you to make sure that they don't have anything to complain about. This can be accomplished on a range of budgets. The first thing you should do is make sure your space is completely airtight. 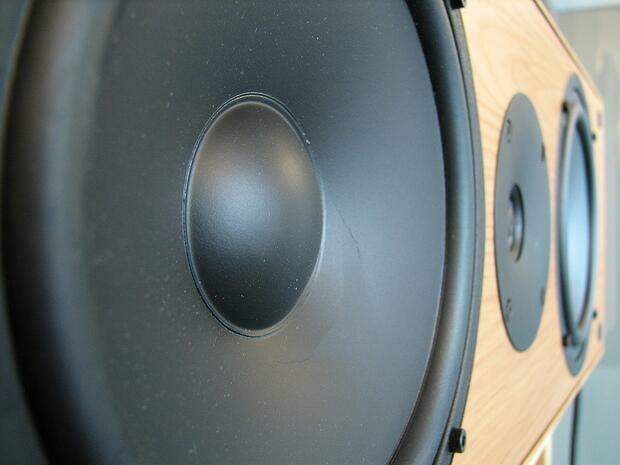 Any holes or cracks will cause serious sound leakage. Check your windows and doors, and you might find a caulking gun or some simple hardware tools to be your best weapons in this first and most effective line of defense against sonic leakage. From there, there are a variety of soundproofing options you could pursue. Just to settle the score here, the old cliche of stapling egg cartons to the wall really does work, especially if you stuff the insides with newspaper. However, I'll be the last one to tell you that this looks good at all or that it's practical in any way, so a slightly less effective but also much less ridiculous way of DIY soundproofing is to hang blankets on the walls, which will absorb a good amount of sound. For those of you with deeper pockets out there, professional sound-deadening foam is most effective in catching sound, and can be applied to any wall to keep the sound on the inside (and the peace with the neighbors). Different from soundproofing, there's sound conditioning. Sound conditioning is the absorption of excess sound in a rehearsal space or studio to improve the sound quality and offer the musicians greater sonic control. All of the soundproofing techniques described above are excellent tools in constructing your ideally sound-conditioned room, minus the airtight sealing of the room. The sealant will trap the sound inside the room, but what you're looking for is material as soft and spongy as possible, like acoustic foam or blankets, to absorb and deaden excess sound. This is the principle of sound conditioning that will make your room sound great. If your power supply for your rehearsal space is at all faulty, you could save yourself a ton of money by investing in a Furman power conditioner. They provide eight outlets of power from one, they filter out any excess noise that your power may be causing, and most importantly, they supply reliable power to your electronics. This Swiss army knife of a musician's tool is a great staple to have on hand to provide the highest quality sound for your band. Most important of all is the fact that it could save the life of your amp from a power surge that could blow a fuse, or much worse. There are other products on the market that serve similar functions, but experience has proven the Furman is the gold standard in what it does. The difference between plugging in your phone to a decent sound system for you bandmates to listen to and passing around the phone for everyone to listen to those tiny speakers is absolutely night and day. You can find stereos all over the internet and in many stores. Check out a secondhand store like Goodwill or your local thrift store for the real bargains on a bangin' '90s stereo system. If you've got a PA with a mixer, all you need is an RCA 1/8" cable and you're all set! Grab one off Amazon – $5 well spent to never have to listen to a bassline off of iPhone speakers ever again. Contrary to your creative habits of chaos and "free-form methodology," keeping a well-organized rehearsal space will make your rehearsals far more productive. Cheap shelving can get tons of equipment off the floor and make a space feel exponentially bigger. Racks for cables will not only save you time when grabbing for a mic cable, but will also look infinitely better than, say, a nest of tangled cables you shake until something falls out. Stands to prop up your amps so you can hear them better are a worthy investment for hearing what your band actually sounds like. All of these important and inexpensive things can make an enormous difference in your rehearsal life. Finally, we have the bells and whistles. While this could be considered the most "optional" at first thought, the personal touches you put on your space really dictate the mood it sets. That mood affects the behavior of the people in the room and the music that comes out of it. So go for a nice plant, a picture of your grandma, or whatever makes you guys happy. Just be careful with couches, because if the temptation to lounge is too strong, this can be detrimental to your productivity. Even if all this feng shui jive is out of your league, at least keep the space clean. Vacuum that floor, get rid of anything disgusting going on in the room, and give your musicians somewhere decent to do their best work. Your music will flourish, and you'll be happier creating music in a place in which you enjoy spending your time.